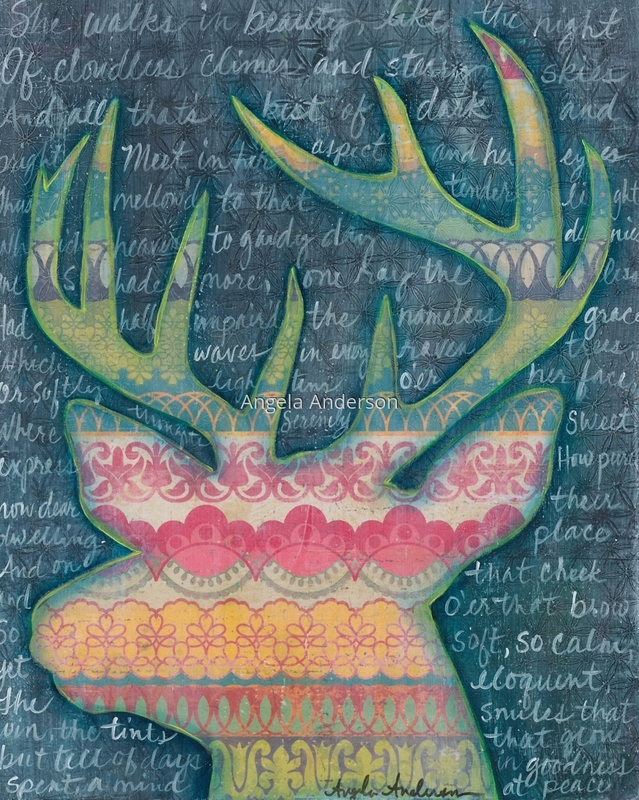 Poem "She Walks In Beauty" painted in script around the head of a deer. colorful paper, paint and ink create a ethereal image. 10" x 8"13.75" x 11"16.25" x 13"19.75" x 15.75"